Council Members of ICAS should declare any interests that may influence or may be perceived to influence a member's ability to act impartially or objectively in carrying out Council business. The disclosure of interests is required in accordance with the Code of Conduct for Council Members. Dr Rimla Akhtar MBE is that rare individual who has lived global business and elite sport. 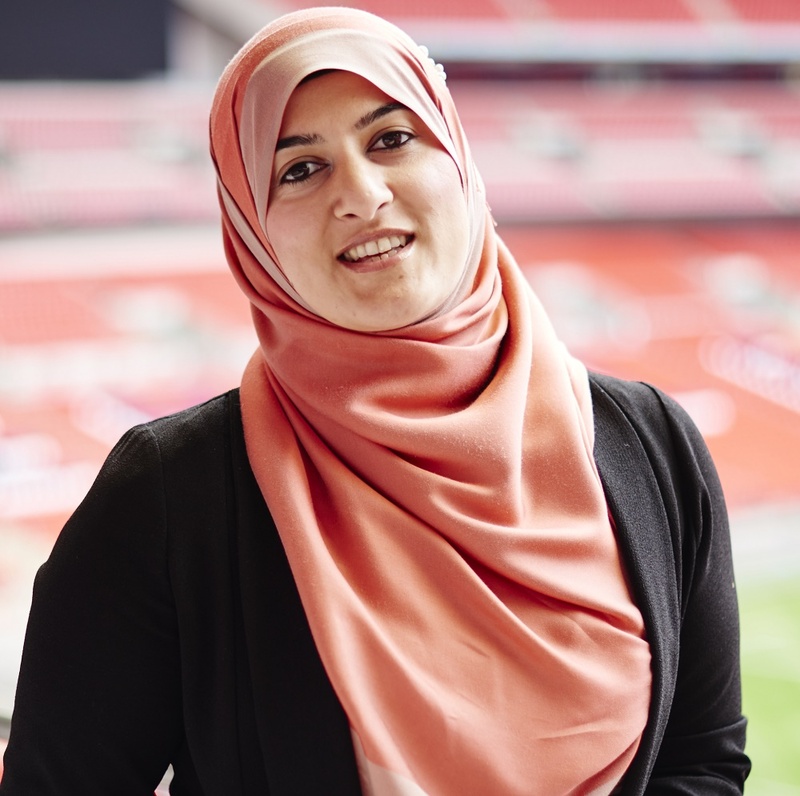 In 2014, she became the first Muslim and Asian woman on the FA Council in addition to her role on the Inclusion Advisory Board at the FA and in 2015 was awarded an MBE for her contribution to equality and diversity in sport. Her strategic and boardroom roles extend to her recent appointment as an Independent Director of the Sports Ground Safety Authority, Independent Director and Trustee of Kick It Out, and Council member of the Institute of Chartered Accountants of Scotland. She is a developer, communicator and strategist best known for her work as an Inclusion and Diversity specialist in sport, which led to her being ranked 15th in the 2015 list of The Independent’s Most Influential Women in Sport. Rimla has over 17 years’ experience in the sports industry across the UK, Middle East and Asia as well as a number of accolades to her name, including most recently the Sky Sports and Sunday Times Sportswomen of the Year Community Award in 2013. Whilst carving out a successful career in the city at leading global professional services firm Pricewaterhouse Cooper, Rimla also captained Britain in Futsal competitions. She is Founder of the leading global sports development consultancy, RimJhim Consulting, and, as Chair of the Muslim Women’s Sport Foundation, she has led the organisation to one with a distinct reputation nationally and internationally for its extensive work in the field of women’s sport. As a unique individual within the sports industry, she now shares her time between writing, speaking, mentoring, practical and strategic consultancy and campaigns. She independently advises and leads projects with governments, advocacy organisations, national and international sports bodies and community groups. Rimla is a sought-after speaker and commentator who communicates with quiet humility, practicality and passion. Baron Anyangwe is a Senior Consultant at Mutual Ventures, driving the delivery of operational effectiveness and sound financial planning at public sector bodies. Baron trained with KPMG in London, and since qualification has held a number of finance roles across various industry and service sectors from financial trading to management consultancy. Baron has a keen interest in new technologies, is a promoter of social innovation and volunteering, and a follower of international development. He is also the trustee of an environmental charity and provides financial management advice to several charitable organisations on a pro bono basis. Clive is a Partner at PwC, where his leadership roles take him to all parts of the world. As a member of PwC’s Global Board, Clive contributes to the governance and oversight of a network that covers more than 150 countries. He is part of the global leadership team for the pharmaceutical and life sciences industries. He is also global relationship partner for a number of multinational clients. Clive joined PwC in Glasgow in 1984 after qualifying as a CA with Bird Simpson & Co in Dundee. Since then he has worked for PwC in Scotland, Saudi Arabia and Switzerland, where Clive has been resident since 1987. Having benefited from a wide range of influences and experiences during his career, Clive is an advocate of diversity in business. In 2016 he joined the board of Advance, a non-profit association set up by leading Swiss-based companies to increase the representation of women at the executive level. Eleanor’s most recent experience is as a member of the Executive Committee of Petrofac, a FTSE listed company, providing assurance to the Board on corporate governance matters. Prior to that, she was employed as Senior Vice President Finance for one of Petrofac’s global divisions. She has extensive experience of financial and risk management in multi-national public companies. Eleanor trained as a Chartered Accountant with KPMG in Aberdeen and initially worked for a private homebuilding and construction company before moving into the oil and gas industry in 1997. Since joining the industry, she has gained experience in a variety of senior positions with both operators and service companies in the sector. In March 2018, Eleanor left Petrofac to pursue a portfolio career and she was elected to ICAS Council in April 2018. She is an ambassador and former Board member of The Foyer, Aberdeen. She is a Patron of the Scottish Ballet and a mentor for the ICAS Foundation. David is General Manager, Finance at Hannover Re UK Life Branch. He has extensive experience across the insurance industry with Aviva, Allianz Global Corporate & Specialty, PruProtect and BGL. He is a Chartered Insurer and a member of the Personal Finance Society. At ICAS, David is a member of the Policy Leadership Board and the London & Home Counties Area Committee. Stephanie is a Partner with PwC and leads the financial services practice across Scotland. Stephanie specialises in services to insurers, banks, investment managers and their funds, including audit, risk, projects and controls services. Stephanie qualified in 1993 and subsequently worked across UK and European clients, working in financial services. In London, Stephanie then worked for several years on treasury operations, both UK and global. Stephanie has been appointed as the Chair of the Audit Committee during 2015. Alison Cornwell is CFO of Vue International plc, one of the world’s leading cinema operators, spanning 10 countries, over 200 sites and almost 2000 screens. Alison qualified as a CA with C&L Glasgow in 1990 and spent 5 years in corporate finance in London before joining Disney’s International TV business where she was head of finance responsible for TV distribution, Disney Channel and a portfolio of equity investments across EMEA, Asia Pacific, Latin America and Canada. In 2005 Alison was appointed CFO of a private equity backed international TV broadcasting business which was successfully sold to NBC Universal at the end of 2007. Following this Alison was appointed CFO of the Goldman Sachs backed international film distribution company Alliance Films. After a number of corporate acquisitions, Alison led the exit process and sale of the business in 2013. Alison has held a number of non-executive positions; She was appointed to the Board of Governors of the British Film Institute in 2013 and also chairs its Audit Committee. In 2016 Alison also joined the board of CMI, a Scottish charity which runs the Edinburgh International Film Festival. Colin Crosby qualified as a CA in 1979. He practised law as a Partner until 1987 then joined the fledging Aberdeen Asset Management. In 2006 the business within AAM where Colin was CEO was sold to Brewin Dolphin and he joined that company becoming a consultant in 2009. Since 2009 he has successfully built a portfolio of non-executive positions in transport, IT, tourism, economic development education and investment management. He has also been active in the 3rd sector, with a housing association, a school board and as a member of the McFadden committee the precursor to OSCR. KPMG UK Training Director, then Partner Glasgow/Edinburgh. Wide-ranging client portfolio in Advisory, M&A, Audit, Forensic accounting. Led in-house Recruitment, HR, Finance. Pro-bono activities in Arts, Disabled, Austrian Consul, ICAS Committees (PQE, Practice Management, Auditing Standards). Managing Partner KPMG Poland (1992-97, personnel growth 60 to 450) and Bulgaria-Macedonia (1997-2000, personnel 60 to 250). KPMG Central-Eastern-Europe Management Board. Pro-bono activities: Business Leaders Forum, Chambers of Commerce, Business Ethics Standards, CSR, Universities Liaison, Junior-Achievement, Arts. 2002-05 Adviser, Bulgarian Prime Minister, ex-King Simeon Saxe-Coburg, sponsored by FCO/World Bank. 2010 HR Executive, AIMS Human Capital Balkans: recruitment, search, selection, coaching, mentoring, management training; Adviser, Macedonian Economy Minister. 2011-14 Executive Chairman, British Bulgarian Chamber of Commerce. MBE for services to British business in Bulgaria. Bernard Dunn CA is client director and Head of Office for T L Dallas in Glasgow and provides insurance and risk management advice to a wide network of corporate clients, including owner-managed, family and VC-backed companies. He also leads T L Dallas’s insurance due-diligence service in the UK. He has advised family businesses for over 30 years on their risk and insurance programmes, and indeed T L Dallas Group was founded in 1919, and is now in its 4th generation, as one of the UK's leading independent insurance brokers. Outwith the “day job”, and family, Bernard’s other interests include: Former chair, and current area committee member of ICAS, Chair of trustees of the Ethiopia Medical Project charity, Member of Employee Ownership Scotland Leadership Group (EOS), Volunteer on hospital radio for Hospital Broadcasting Service Glasgow (HBS). Robert was a Financial Services Partner with PwC Hong Kong from 1992-2014, including nearly 4 years in Singapore, where he now resides. Robert led the Firm’s Asset Management practice in Asia Pacific and dealt extensively with Private Equity and Hedge funds as well as the more traditional large fund managers. He sat on PwC’s Global Leadership Team for the Asset Management Industry for nearly 18 years. Since retiring from PwC in the summer of 2014 Robert has taken on the role of Chairman of the Board of a Hong Kong-based Hedge Fund and a strategic advisory role with a Scottish based Investor Communication Firm who have set up in Asia. His main Advisory role today is however with the Asian Asset Management business of Prudential plc, in particular concerning strategic decision making around expansion into new markets and products as well as technological change impacting the asset management industry. Robert’s interests outside of work include travel, the education of his three young children (one of whom is autistic) and sports. In addition, he is an avid reader of newspapers and books on history, economics and geo-political matters, especially as it impacts Asia. Alan resides in Toronto, Ontario, Canada and is President and Chief Executive Officer of Rogers Telecommunications Limited and certain private companies that control Rogers Communications Inc (“RCI”), a Canadian communications and media company listed on the Toronto and New York stock exchanges. Mr. Horn served as Chairman of the Board of RCI from March 2006 to December 2017. Mr. Horn also served as Interim President and Chief Executive Officer of the Company from October 2016 to April 2017 and from October 2008 to March 2009. Mr. Horn was a director of Rogers Bank from April 2013 to January 2018. Mr. Horn served as Vice President, Finance and Chief Financial Officer of RCI from September 1996 to March 2006. He is also a director of Fairfax Financial Holdings Limited and Fairfax India Holdings Corporation. Mr. Horn, a Chartered Professional Accountant and Chartered Accountant, is a member of the Advisory Committee of the Rogers Control Trust. Mr. Horn received a B.Sc. with First Class Honours in Mathematics from the University of Aberdeen, Scotland. Mark is PwC's Office Senior Partner in Edinburgh having been with the firm for over 25 years. Mark studied Civil Engineering at the University of Edinburgh. 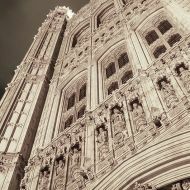 He joined Deloitte Haskins & Sells in London qualifying as an ACA in 1992. He moved to Edinburgh in 1993. He was admitted to the Partnership in 2004. In 2009 he moved to Glasgow for 5 years, before returning to Edinburgh in 2013, becoming Office Senior Partner in 2014. Mark is an audit partner and his clients cover a wide range of sectors and sizes. Mark joined ICAS in 2001. He has sat on the Qualifications Board for a number of years, became it Chair in 2015, and so is also a member of Council and the Oversight Board. Indy Hothi is an economist and strategy consultant with EY in London. His role involves advising public and private sector organisations on the economic, social and fiscal impact of their organisations. He has worked with clients across a number of industries including the Premier League and Rugby World Cup. Through his passion for social and humanitarian causes, Indy is a trustee of a charity which provides humanitarian aid in disaster areas and civil conflict zones. Indy is also co-founder of social enterprise, ‘Hothi & Othi’ which supports emerging artists from developing countries by showcasing their work in established galleries around the world. Philip was, at the time of his retirement from Deloitte on 31 May 2007, a senior partner in the UK firm, having been a partner for 30 years. He specialised in providing advisory and assurance services to a number of significant publicly listed and private company audit clients and professional firms. Between 1988 and 1993 and 1999 and 2004, Philip was a member of the Deloitte UK Board of Partners and was the first chairman of the firm’s Audit Committee from July 2002 to August 2004 when he stepped down from the Board. During the two years 2002 to 2004, Philip had the primary responsibility for integrating the clients, partners and staff of Arthur Andersen UK (AA) into Deloitte and converting Deloitte into Deloitte LLP. He was responsible for dealing with all regulatory and legal issues relating to both the integration of AA and the subsequent conversion to an LLP. Philip was head of Quality and Risk Management for the UK audit practice of Deloitte from 2003 until his retirement from the firm in 2007. This role involved him being responsible for all aspects of quality in the audit practice, caused him to be involved in many of the firm’s major audit decisions and be the interface between the firm and the UK and US audit regulators. Philip represented the UK auditing profession at Accountancy Europe, formally the European Federation of Accountants (FEE), from 2006 to 2012 and was responsible for audit matters within Accountancy Europe. This role caused him to be heavily involved with the European Commission and the European Parliament in a number of areas relating to the implementation of the Statutory Audit Directive and the development of the Corporate Governance, Financial Reporting and Audit Policy legislation which was initiated following the 2007 financial crisis. He was also a member of the International Auditing and Assurance Standards Board Consultative Advisory Group (IAASB CAG) and the International Ethics Standards Board Consultative Advisory Group (IESBA CAG) during this time. Between December 2010 and December 2012 he was the President of Accountancy Europe, having been elected to the position by the 45 Member Bodies in 33 countries across Europe. Philip stepped down as President of Accountancy Europe in December 2012 upon completion of his term of office. Philip was a non-executive director of Yorkshire Building Society from June 2007 until April 2015 where he also chaired the Audit Committee. He was also an advisor to the board of Addleshaw Goddard from June 2007 until June 2009 whereupon he became a board member and chaired the firm’s Audit Committee. He stepped down from Addleshaw Goddard in April 2011. From January 2008 until December 2016, Philip was a member of the Audit Committee of Wellcome Trust. Currently, Philip is a member of the Standing Advisory Group of the Public Company Accounting Oversight Board, the PCAOB, in the United States. He is a director of Lakeland Limited, chairs the board of governors of Cheadle Hulme School, is a governor of The Manchester College, the chairman of the Policy Leadership Board of ICAS, a trustee of the Rugby Football Foundation and a member of the Audit Committee of the Rugby Football Union. Suzy trained to become a CA with Baker Tilly in London and qualified in 2012. She worked at Baker Tilly for 4 years during which time she completed an international secondment to Baker Tilly Argentina. After Baker Tilly, Suzy was CFO of Clear Books plc, a cloud accounting software company, for 2 years and she temporarily worked as a Financial Accountant in the Cabinet Office. She completed her full-time MBA at Imperial College Business School last year. Suzy now runs an accounting practice with her business partner and is currently starting a business around gender equality training in the workplace called The Allies. Suzy is a member of the Institute of Directors (IoD99) and recently visited Downing Street to talk about how social entrepreneurship can solve social issues such as gender equality. Nick co-founded Volvere plc (AIM: VLE) in 2002 to invest in turnaround opportunities. Volvere typically acquires controlling equity stakes in distressed businesses, works closely with management to improve performance and ultimately achieve an exit. He is responsible for operating activities of group companies (typically as Chairman or NED), group financial management, control and reporting, regulatory compliance, and for assisting with the identification of targets and due diligence. He joined the ICAS Council in 2018. Previous experience includes COO of DDL Limited (an FSA regulated private equity fund), Non-executive Director of Directex Realisations plc (AIM: DXR), an AIM-listed shell with a number of legacy issues following a period of asset disposals and Corporate Development Director, Clyde Blowers PLC. He qualified with PwC in 1990. Peter qualified with Ernst & Whinney (now EY) in Edinburgh in 1979. After qualifying he spent 14 years with Scottish & Newcastle plc in a variety of Head Office roles and finally with T&R Theakston in Yorkshire. During this time he lectured to ICAS students in Internal Audit and was part of the TPC part-time education team. After leaving Scottish & Newcastle in 1994 he was Finance Director for a European Biotechnology company and the European Finance Director for a global records management business. Since returning to Scotland from London in 2002, he has been a part-time Finance Director for a number of SME’s across various business sectors and now runs his own consultancy business with current clients spread across the North & East of Scotland. He has served for 10 years on the Highland Area Committee of ICAS and is the current Chair, and he represents the Highlands on ICAS Council and Constitutional Panel. Peter is married, is a keen golfer and follower of football and rugby. Laura is a Senior Manager with EY in London specialising in international tax advisory services for clients in the Energy sector. She is an Accountancy graduate from Heriot-Watt University, graduating in 2009 and joining EY’s Edinburgh office in Corporate Tax. +She completed her training contract with EY in Edinburgh and after a secondment to EY’s New York office, transferred to Aberdeen to join the Oil & Gas tax team. Laura is currently undertaking an internal secondment to EY’s Tax Technology and Transformation (TTT) team in London, focussing on the impact of technology on the delivery of tax services. Catriona is a Professor of Accounting at the University of Glasgow. She trained with KPMG in Aberdeen and entered academia shortly after qualifying. She has now worked in the Scottish university sector for 26 years. She teaches financial reporting and accounting ethics, and researches aspects of the accountancy profession including accounting education, accounting careers, professional discipline, ethics and accounting history. 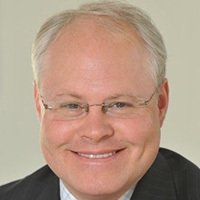 Bruce is the Chief Operating Officer of Prometic Life Sciences (PLI), a global biopharmaceutical company. As COO, Bruce oversees the company’s commercial, strategy, marketing, manufacturing, supply chain and business development functions. An accountant by training, he has spent over two decades working in the life sciences and pharmaceutical industry. He has more than twelve years’ experience with PLI and has held a number of senior global positions across the organisation. Prior to being appointed COO in 2014, Bruce was the Group CFO, a role he had held since 2008. Bruce brings a proven track record of success in strategic acquisitions and in raising debt and equity finance. As the finance director for Ardana, a speciality pharmaceutical company, he was responsible for raising the venture capital for the company’s successful IPO. As well as being a chartered accountant, Bruce also brought to the role many years of experience in general management and operations. Prior to joining Prometic, Bruce worked as a senior director for CV Therapeutics, a NASDAQ listed biopharmaceutical company, with a market capitalisation of over US$1 Billion. Bruce is a graduate of Heriot-Watt University where he gained a BA in Accountancy and Computer Science. He is a member of the Institute of Chartered Accountants of Scotland and a Fellow of the Institute of Directors. Bruce splits his time between the group’s HQ in Montreal, Canada and its UK office in Cambridge. Karen is a director and shareholder of Scholes CA, the Orkney based accountancy firm started by her late father. Karen has a hands-on approach to management within the firm, working closely with colleagues to ensure they deliver the highest standards of professional support to their growing number of clients. Karen is Chair of the ICAS Members in Practice Advisory Board (MiPAB) and is keen to increase and enhance the engagement ICAS has with its members and generally raise the profile of the accounting profession. Karen was a finalist in the 2005 Association of Scottish Businesswomen Awards and is particularly passionate about supporting the next generation of entrepreneurs, she enjoys nurturing young people in business through her work with Young Enterprise Orkney. Outside of accountancy, and when time allows, Karen enjoys the arts – amateur dramatics are a particular favourite, along with fitness, walking and travelling. Ewen has over 30 years’ experience in the profession, the last 16 as Tax Partner at Alexander Sloan in Glasgow & Edinburgh. He is responsible for all aspects of the firm’s corporate and personal tax services, providing tax advice to the firm’s clients across a wide range of sectors and sizes. His own portfolio includes businesses in the owner-managed sector and high net worth individuals. Ewen has been Area Secretary for the Glasgow & West of Scotland Area of ICAS since 2007, following a long tradition of a Partner in that firm holding the position. Ian is formerly the Senior Partner for Scotland and Northern Ireland and Board Member of Deloitte LLP, Ian retired from the Partnership in 2015. Ian is now a Non-Executive Director of STV plc, Iomart Group plc and Killinchy Aerospace Holdings Limited - the principal trading subsidiary of which is Martin-Baker Aircraft Company Limited. He also continues in a consultancy capacity with Deloitte. Married to Helen and with two Daughters, Ian lives in Ayrshire. Lord (Jim) Wallace has 35 years of Parliamentary service as an MP, MSP and Peer. In the 1990s, he was Parliamentary Adviser to ICAS. He held ministerial office as Deputy First Minister of Scotland, Justice Minister and Enterprise & Lifelong Learning Minister. An advocate and QC, he was Advocate General for Scotland and Deputy Leader of the House of Lords in the UK Coalition Government. He was appointed a Privy Counsellor in 2000. In 2018, he was elected as a Fellow of the Royal Society of Edinburgh. Jim stood down as Leader of the Lib Dem Peers in 2016, but continues to be an active member of the Lords, retaining an interest in human rights and constitutional issues. He chairs the Regulation Board of ICAS. He also chairs the Trustee Board of the international charity, Reprieve. For recreation, he sings in St Magnus Cathedral Choir, and occasionally is found on a golf course. John joined Global Infrastructure Partners (GIP) as an Operating Principal in 2013 and Chief Commercial Officer of their investment, Edinburgh Airport Limited, leading the revenue and capital projects teams. John works with a number of investments worldwide and is CEO of Crosswind Developments Ltd. Prior to joining GIP, he was Managing Director of Lloyds Banking Group’s $50bn SME Lending business during the banking liquidity crisis. John was also a founding Board Director of the Business Growth Fund plc, after ICAS qualification with PwC Corporate Finance, John joined 3i plc. He has subsequently held a number of executive and non-executive positions globally. With over 20 years of experience, he has a BEng Mechanical Design Engineering and an MSc IT from the University of Glasgow. John is Vice President - Edinburgh Chamber of Commerce, a Trustee - Saltire Foundation, Non-Executive Director - Institute of Directors, ICAS Members Board and Chair of Edinburgh and Lothian Members Board. Robert Black was the first Auditor General for Scotland, appointed by the Queen in 2000. He was head of Audit Scotland and arranged for the auditing of the performance and expenditure of most public bodies in Scotland, including the Scottish Government and the Scottish Parliament. Robert was previously Controller of Audit for Scotland, Chief Executive of Tayside Regional Council and Chief Executive of Stirling District Council. Having retired from the post of Auditor General in 2012, Robert's current appointments include being a Member of Court of the University of Edinburgh and a Board Member of the British Library. Robert is also Chair of Fiscal Affairs Scotland, a new economic think tank, and Chair of the Scottish Commission on Housing and Wellbeing. Colin is Chairman of Prescient, his mentoring company; Vice President of Scottish Opera; a Trustee of the Royal Society of Edinburgh Foundation; and a member of the Global Irish Network. Colin worked in the newspaper industry for more than 40 years with Thomson Regional and Mirror Group Newspapers and latterly as Managing Director (Scotland and Ireland) News International Newspapers Limited. He has been a Non-Executive Director of Scottish Enterprise, Dunfermline Press Group, Beattie Media, The Kemsley Agency and was Chairman of Scottish Opera (7 years), St Columba’s School Kilmacolm, Glasgow UNESCO City of Music and the Institute of Directors Scotland. He is a Life-Vice President of the Newspaper Press Fund and a former Chairman of Saints and Sinners. After graduating in 1991 Ana founded i-design, a consultancy aimed at servicing the emerging digital creative industry. The business grew over the next decade into a global innovator in self-service software based solutions for financial institutions including Barclays and RBS. In 2004, she launched a second business atmAd, an aggregated ATM based digital media channel enabling advertisers to reach consumers with targeted offers across retail locations including Tesco, ASDA and Sainsbury's. As CEO, she led the AIM listing of the company on the London Stock Exchange in 2007. Over the next five years the organisation expanded into Europe and North America with it's software delivering over 1.6 billion transactions per annum. In 2013, she sold i-design to NASDAQ listed Cardtronics, the world's largest ATM services provider, joining their executive leadership team before leaving the organisation last year. Ana recently joined the Board of the Scottish FA as an independent non-executive director, becoming the first female board member in the oganisation's 144 year history. Read about the governance of ICAS, overseen by Council, Boards and the Committees.